Floor Sink with Perforated Half Grate with anchor tabs. 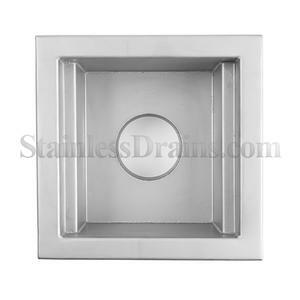 StainlessDrains.com’s Floor Sinks will satisfy any application from light to heavy-duty. All models are corrosion-resistant and comply with the U.S. FDA standards for sanitary design. 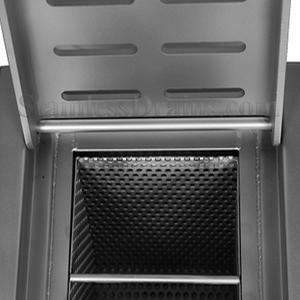 Floor Sink with Perforated Half Grate, StainlessDrains.com’s Floor Sinks will satisfy any application from light to heavy-duty. All models are corrosion-resistant and comply with the U.S. FDA standards for sanitary design. 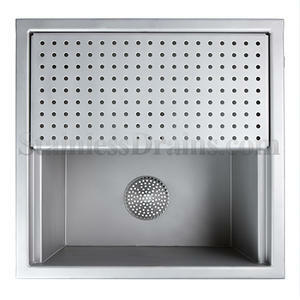 Floor Sink Hinged Perforated Grate with anchor tabs. 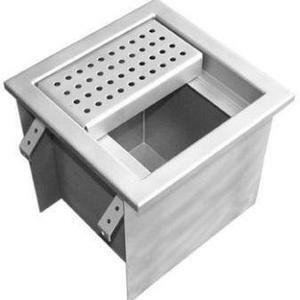 StainlessDrains.com’s Floor Sinks will satisfy any application from light to heavy-duty. All models are corrosion-resistant and comply with the U.S. FDA standards for sanitary design. 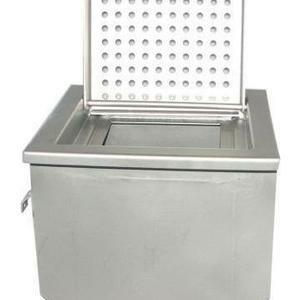 Floor Sink Hinged Slotted Grate with perforated 1/4" rod handle sediment basket. 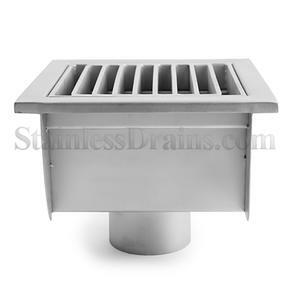 StainlessDrains.com’s Floor Sinks will satisfy any application from light to heavy-duty. All models are corrosion-resistant and comply with the U.S. FDA standards for sanitary design. Floor Sink with Grates, (left to right) square perforated, bar, round perforated and slotted grates, shown with eco-guard. 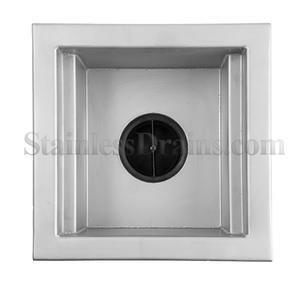 StainlessDrains.com’s Floor Sinks will satisfy any application from light to heavy-duty. All models are corrosion-resistant and comply with the U.S. FDA standards for sanitary design. Floor Sink with Eco-Guard. 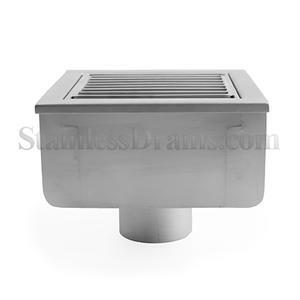 StainlessDrains.com’s Floor Sinks will satisfy any application from light to heavy-duty. All models are corrosion-resistant and comply with the U.S. FDA standards for sanitary design. 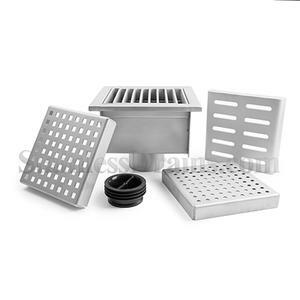 StainlessDrains.com’s Floor Sinks will satisfy any application from light to heavy-duty. All models are corrosion-resistant and comply with the U.S. FDA standards for sanitary design. Floor Sink with bar grate. StainlessDrains.com’s Floor Sinks will satisfy any application from light to heavy-duty. All models are corrosion-resistant and comply with the U.S. FDA standards for sanitary design. 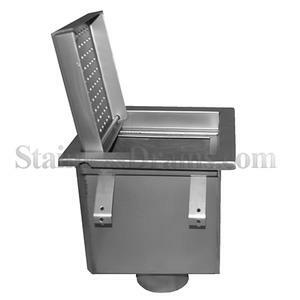 Floor Sink with hinged perforate grate. StainlessDrains.com’s Floor Sinks will satisfy any application from light to heavy-duty. All models are corrosion-resistant and comply with the U.S. FDA standards for sanitary design.